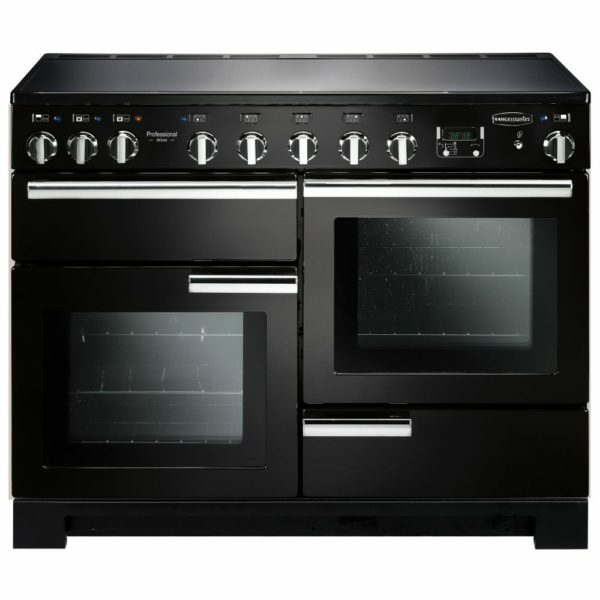 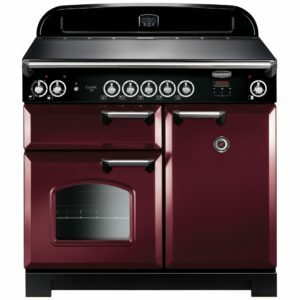 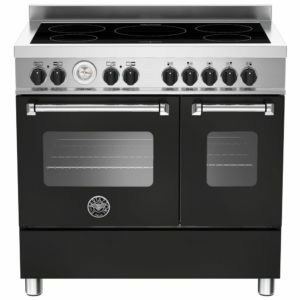 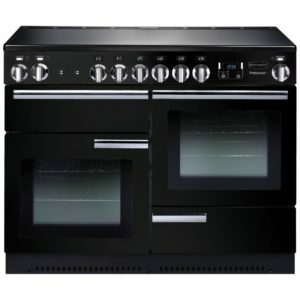 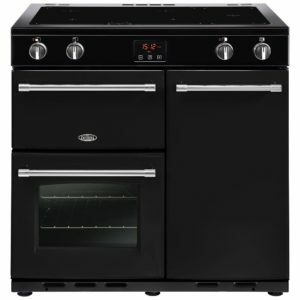 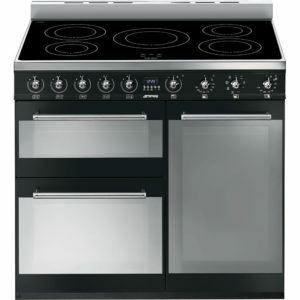 The black finish of the Professional Deluxe range cooker from Rangemaster perfectly complements its smooth lines and modern style. 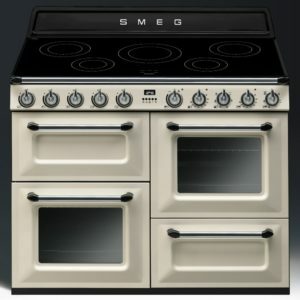 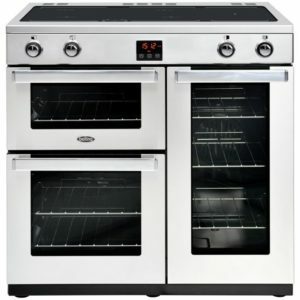 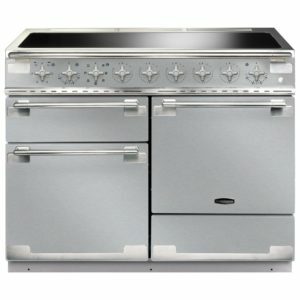 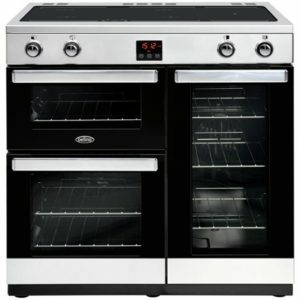 Designed with an eye on performance, you can use either or both of the two 73 litre ovens, and as the left hand oven offers a variety of functions, you can bake, roast or slow cook with great results by just choosing the function you need. 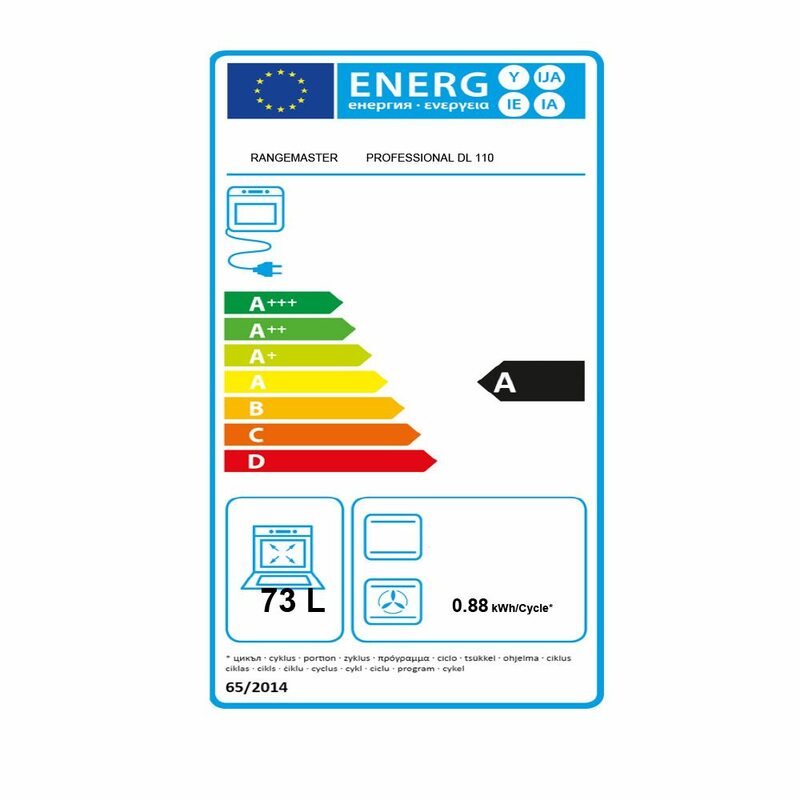 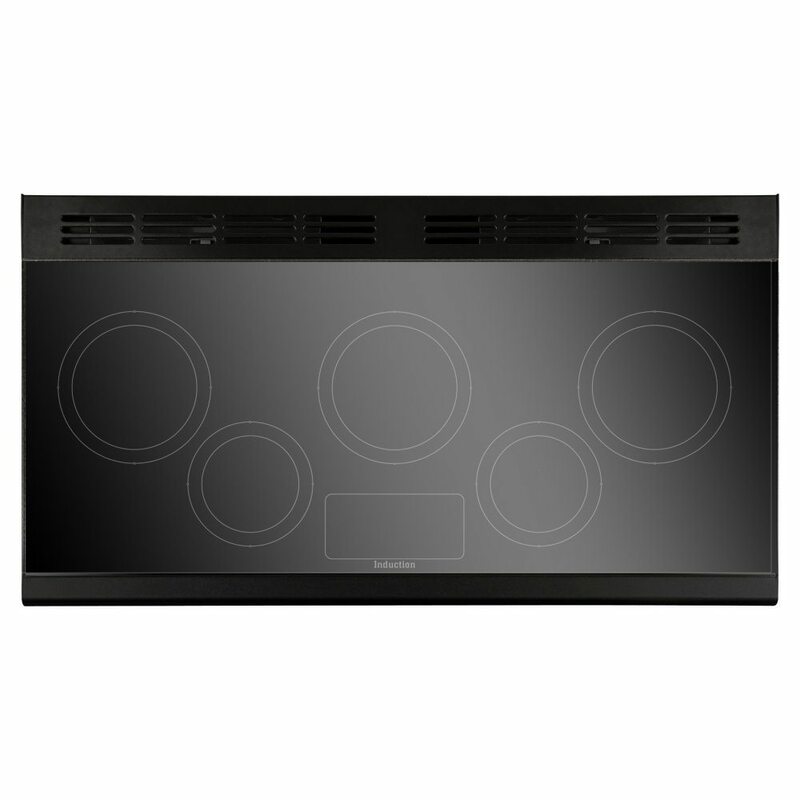 There’s a 5 zone induction hob top, which offers great power and fine control thanks to the clever use of electromagnets, which only transfer heat to the pan as it is recognised. 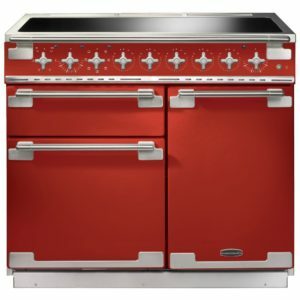 You will be able to create a whole wealth of treats in no time at all!